The Arahura River in Westland has traditionally been an important source of pounamu for the Ngāi Tahu tribe. It has particular value for Poutini Ngāi Tahu, who are the tangata whenua of the South Island’s West Coast. No one people can have a sole claim to the land, as far as I know to avoid the risk of offending a maori, one can never use the aid of excavators, machinery or other means of transport to get it out of the river bed other than by carrying it by hand, other than ngai tahu tribe who have claimed some form of ownership over the Arahura river, but legally this is owned by the state (queens chain) of course. Happy hunting! 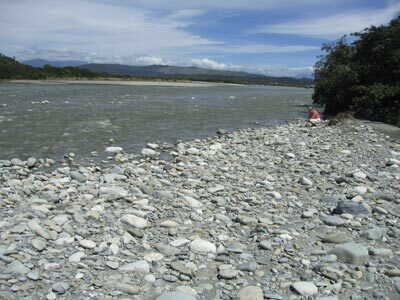 Hi can anyone go fossicking for greenstone in the Arahura river,or anywhere in the South island.thanks col.